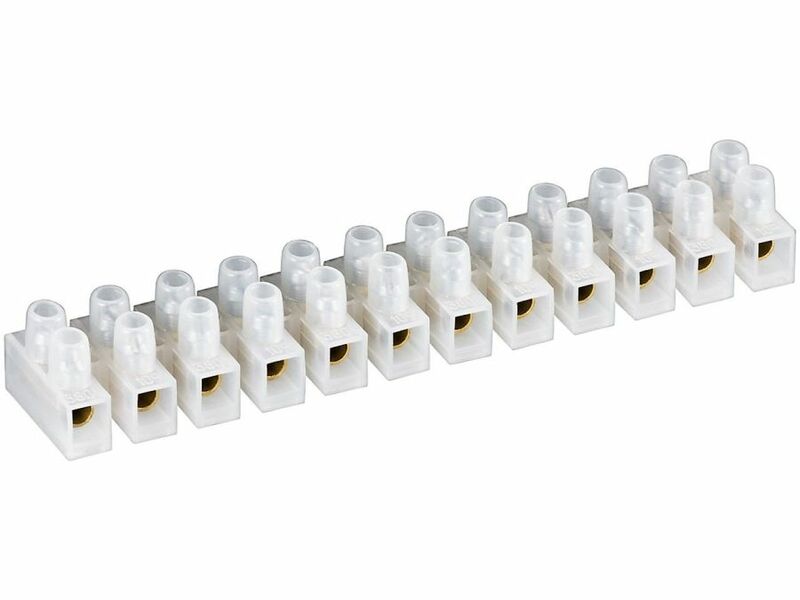 12 way terminal block with double screw terminals. For panel mounting, for cable. May be easily broken into smaller fragments. Also known as: Kronmuffe, rækkeklemme, terminal block, terminal strip.